The SSE Arena, Wembley in London will host the world premiere of Queen’s biopic Bohemian Rhapsody on October 23rd thanks to Twentieth Century Fox and Regency Enterprises. Guests and fans will be welcomed to the iconic venue to celebrate the highly anticipated release of the film where they can walk the red carpet alongside stars of the film Rami Malek, Lucy Boynton, Gwilym Lee, Ben Hardy, Joe Mazzello, Allen Leech, Aidan Gillen, Mike Myers and producers Graham King and Jim Beach. Joining the cast on the red carpet will be Queen legends Brian May and Roger Taylor. The premiere will benefit the Mercury Phoenix Trust, the organisation founded in frontman Freddie Mercury’s name which supports HIV/AIDS initiatives globally. Tickets will go on sale to the general public on Wednesday, September 12th at 9 am through ssearena.co.uk following an exclusive pre-sale for Queenonline.com and the official Queen Fan Club from 9 am today (Mon, Sept 10th). Any purchased tickets will be limited to a maximum of six per person. Tickets are strictly non-transferable, except through Twickets, the authorized fan-to-fan exchange partner. The world-famous Carnaby Street will unveil an exclusive art installation ahead of the film’s October 24th release in the UK. Hailed as one of the greatest rock songs of all time and topping charts as a best-selling single for over forty years, Freddie Mercury’s lyrics will shine brightly on Carnaby Street. Shaftesbury, the innovative landlord and owners of the Carnaby estate, have collaborated with Twentieth Century Fox on this unprecedented installation. Elsewhere, Queen’s crest – designed by Freddie Mercury himself – will feature on Carnaby’s iconic arches, with a giant illuminated crown topping Carnaby’s shimmer flag. Bohemian Rhapsody is the untold true story of Queen and Freddie Mercury – a man who believed in himself and his music when no one else did, defying all stereotypes and breaking all the rules to become one of the greatest musical icons of all time. 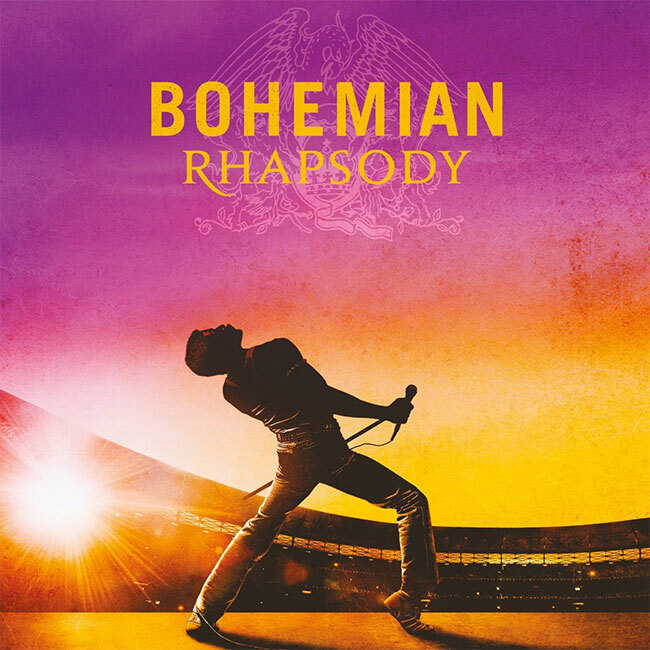 A foot-stomping celebration of Queen’s music and tribute to a man who dared to change everything, the film stars Rami Malek as iconic frontman Freddie Mercury, alongside Ben Hardy as Roger Taylor, Gwilym Lee as Brian May and Joe Mazzello as John Deacon. A free-entry pop-up shop and exhibition located at 3 Carnaby Street will open on October 10th and run through January 2019. Visitors will have the opportunity to immerse themselves into the ultimate Queen experience with a showcase of photographs, prints, footage and show-stopping costumes. The store will also stock official film merchandise and Queen-inspired products. Visitors to the pop-up shop and exhibition can also expect experiential activity including a visit from the official Madame Tussauds’ Freddie Mercury waxwork. Throughout the installations, Carnaby’s shop’s, bars and restaurants will host a range of Queen-inspired products, menus and special offers.